Richard has been a member of the Canadian Ski Patrol for 17 years. Besides providing service as ‘Joe Patroller’, he has held the positons of Operations Officer, Zone President and Instructor in Red River Zone. Richard has also been an Instructor Trainer since 2013, and was Manitoba Division President from 2010 to 2015. As Division President, Richard was a member of national working groups and projects including the Voting Procedures Reform project (2007); the Financial Task Force (2010); and Division Presidents’ Cost-Share Guidelines (2014). Richard was the lead on the Division Presidents’ working group to introduce Volunteer Sector Search guidelines (2015). 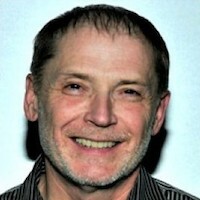 Within his career, Richard served for 35 years in the Manitoba public sector and held positions including senior policy and program analyst in community services and corrections; Assistant Director of Child Day Care; Provincial Coordinator of Children’s Disability Services; and the business lead on information management projects in integrated case management and child welfare. Between 2000 and 2005, he was a member of the Aboriginal Justice Inquiry – Child Welfare Initiative and was one of the principal authors of the conceptual and detailed implementation plans that re-structured the child welfare system in Manitoba. For the past 10 years, he was the manager of the Child and Family Services Information Management Application. In addition, Richard has been an adult educator, teaching social science research methods and statistics at the community college level. In the community, Richard has held a number of volunteer roles including four years as a member of the board of directors of the Canadian Mental Health Association (Winnipeg); as the founding and first president of the Open Access Resource Centre (a United Way member agency that provides augmentative communication devices to adults and children who are not able to communicate through speech, sign or symbols); and, for over 15 years, as board member of Community Financial Counselling Services ( a United Way agency that provides individual and group advocacy as well as financial counseling and debt management services). Richard was the president of the board of Community Financial Counselling for 10 years. These professional, educator and volunteer experiences have given Richard a range of skills and capacities in the governance and operation of community-based, volunteer and not-for-profit organizations. Richard was elected to the board of directors of the Canadian Ski Patrol in 2015. In that election, he authored and presented the “Three Circle Model” as a way of envisioning the journey to the future. Part of that journey was completed recently in the announcement of the Canadian Ski Patrol Endowment Fund. As a board member, Richard has been a member of the Executive Officer Compensation Committee and Governance Committee. In the latter role, he has participated or lead revisions and updates to the Code of Conduct; Code of Ethics; Bylaws and Regulations; Terms and Conditions for Committees; and Conflict of Interest policy. He has advocated strongly for strategic organizational transformation to help sustain the selfless dedication of members and values of the Canadian Ski Patrol in the midst of changing economic, demographic and climactic circumstances.